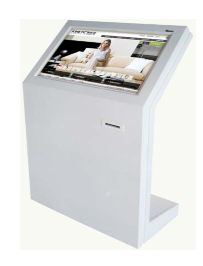 digiKanban, a complete integrated, interactive & intelligent Digital Signage network solution. The concept is simple – We place your ad in front of 100s of thousands of people, while they wait. Big Flat Screen TV panels are placed in high traffic local Businesses, Gyms, Restaurants and other places where people “wait for service”. Those are coupled with our fully customizable software; which allows the total control over the content, the frequency of rotation, remote access and the ability to import live feeds of local weather, news, time, sports scores and more. The content that is displayed on Digital Signage systems is a key part in ensuring the success of the messages you wish to communicate. Information displayed needs to be relevant, effective and compelling. Each of our client where DigiKanban is installed has a different purpose for Digital Signage and a different objective with the content. Whether it is internal communication, brand enhancement, customer education, local promotions, menu boards or public information, contents are very well planned, designed and scheduled on Digital Signage system. With the help of our experienced content designers, you can convey a highly professional image to ensure that your messages are conveyed and attracts your desired audience. We are happy to assist in this area and can recommend a partner to advise and take care of all of your content needs. Static messages can be boring, and expensive to change from time to time. Most businesses nowadays need to communicate constantly changing information to their customers and provide a call to action for customers to be able to proactively informed of products and services. Businesses like hotels, restaurants, membership clubs, retail stores, banks, shopping malls, offices, real estate agents travel agents, will find these solutions very efficient and cost effective in providing real-time information to customers. In return, digital signage has proven to provide a return on investment within weeks and a few months of implementation for almost all types of business by increasing sales and customer retention. Combine custom advertising messages with RSS Feeds like news, weather, sports, and financial content. For example, at the airport, you could give more details on the flights and weather at the destination for each gate. All of these would be connected through to a single server somewhere on the cloud if necessary. Digital Signage are dynamic, attractive, eye-catching – these are easily changed and updated via a studio interface allowing easily scheduled content. With our new touch-screen Kiosks, you can provide a real two way interaction with your customers to educate, consult and entertain in a unique way. You can easily set up “Where am I” direction and informational kiosks everywhere. Our customers predominantly are hotels and spas, or shopping centres with information that may change dynamically from time to time. You have many choices with kiosk types. Digital signage is a form of electronic display that shows information, advertising and other messages on the Digital Displays that are controlled by Computers by way of proprietary software programs. The benefits of digital signage over static signs, in situations where changing signs are preferred over static signs, are that the content can be exchanged more easily, animations can be shown, and the signs can adapt to the context and audience, even interactively. Digital signage can offer superior return on investment compared to temporary and/or promotional signs made from other substrates. (…..Wikipedia). Digital Signage is a very innovative powerful communication tool, made possible through the seamless integration of several technologies. Targeted communication is achieved using high definition digital displays, displayed in strategic places in public and private environments such as health clubs, hospitals, retail stores and other venues. 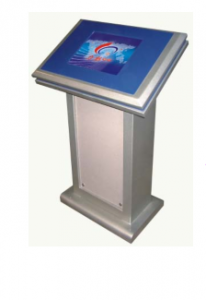 These networked displays are used to entertain, promote or inform the viewers that usually visits these venues. By utilizing modern digital signage network solutions and digital display technology, we offer clients the option of leveraging their current media messages and an opportunity to communicate in forward-looking new ways. Our site targeted messaging improves branding, customer loyalty, employee morale, and patient/customer satisfaction. digiKanban has a wide range of products and services available for digital signage implementation. From deciding strategy, concept to completion to ongoing operations, digiKanban is your one-stop shop for Digital Signage implementation. We understand implementing a digital signage project can be a complex assignment and hence we’re here for you every step of the way. Our expert staff will help you strategies, design, implement and track an efficient and cost-effective digital signage solution customized to your business’ marketing strategy. 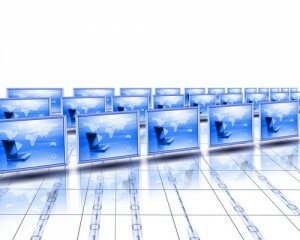 Every digital signage project is unique hence total costs and fees can vary accordingly. Please contact our account representatives for current pricing or quote.